Year 2 have had a great music lesson this afternoon with Mrs Brian. 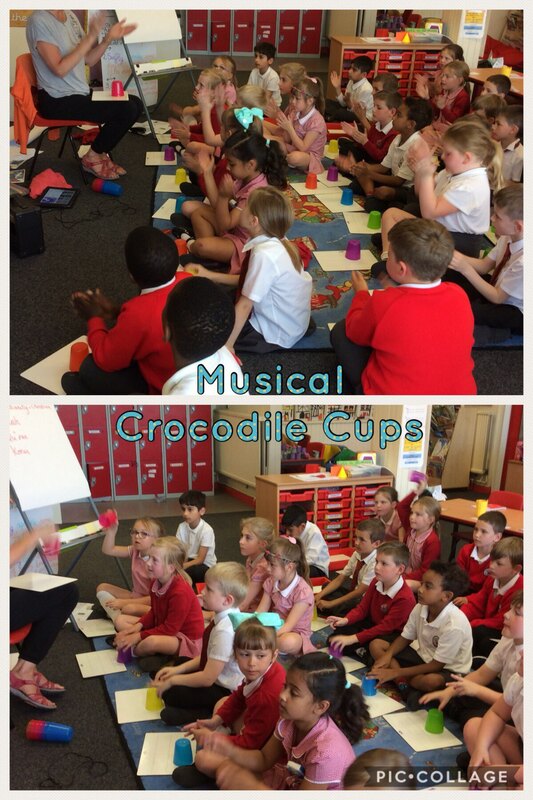 We followed the rhythm of some familiar songs and added our own instruments by clapping our hands and tapping our cups. We really enjoyed it! Thank you Mrs Brian. This entry was posted in Year 2 and tagged Maths on May 15, 2018 by Sandford Hill. This looks like a lot of fun and I’m sure that it sounded great too! Excellent work Year 2. How fantastic, making music using only your hands and plastic cups!